Dr. Jon Berry, Department Coordinator of World Languages at Mount Carmel High School in Chicago, shares his experience after attending the ACT Certified Educator Basics training program. Everyone involved in secondary education agrees that success on standardized college entrance exams—like the ACT® test—creates opportunities for students, opening doors into higher education and careers beyond. Regardless of how often we hear that colleges take a holistic approach to admissions, we all know that for the vast majority of students, getting into and being successful in college, depends to some extent upon their performance on college entrance exams. We also understand how important teachers are to the process. Regardless of where we teach, who we teach, or what we teach, we understand that what we do in the classroom is essential to a student’s entrance into and preparation for college. We also understand how difficult this is. Our jobs are not defined as “ACT Teachers,” and no classroom activity gets more criticized than “teaching to the test,” - and rightly so. Secondary education is, and should be, much more than a summative test taken several times during a student’s junior and senior year. Furthermore, it is impossible to take students who have not been exposed to a strong curriculum or who have performed poorly in whatever curriculum they have experienced, who lack a strong foundation in the language, math, and scientific reasoning skills that are assessed on the ACT test, and magically transform them into high performing ACT students through nothing more than practice tests and a crash course on fundamentals. It was with this question in mind that earlier this year I attended an ACT Certified Educator workshop in Naperville, Illinois. Although the workshop was designed for the purpose of certifying ACT tutors, I went primarily as a classroom teacher, hoping to understand better what I could do in the classroom to help my students perform better on standardized, college entrance exams and to better prepare students for college. The workshop lasted the entire day and at the end of the day we took a test which was required for becoming an ACT Certified Educator. The workshop I attended was on basic information about the ACT test and general preparation for the test. What I learned from this workshop was extremely valuable. The presentation and the conversations served as a reminder not just of the importance of the test, but of the important role that all teachers play in student success on the ACT test and in college. This role goes beyond preparing students for the test through a strong curriculum, sound teaching methods, practice tests and test-taking strategies. Since much of the workshop involved issues relating to the process of taking the test (registration, accommodations, emotional and physical preparation), I was reminded of how important our role is in that process. Similarly, as we teach content, we should do so with an understanding that our responsibility is not just to convey information; rather, we need to remember that we are also coaches who need to remind our students of the importance of what we are trying to accomplish in the class, that the concepts and skills we are teaching, the ideas that we are exploring, all serve a larger purpose in their lives. 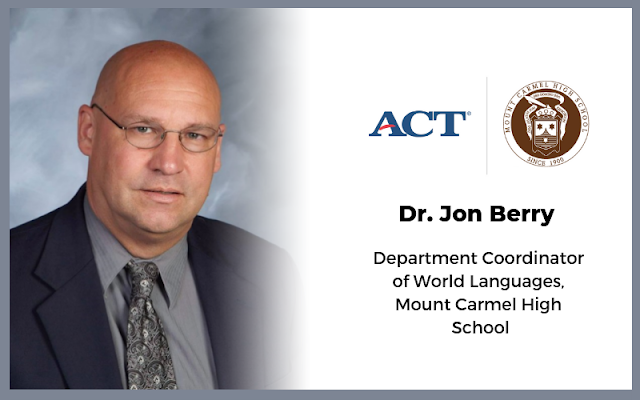 Preparing students for the ACT test is not necessarily the most important activity that we do for our students, but it is still an important part of the education of our students. We have the responsibility to teach our classes in such a way that our students learn skills and concepts that will help them succeed on college entrance exams. There is still a lot for me to learn in terms of becoming a classroom teacher who better prepares students for college entrance exams. With the Certified Educator Program, ACT offers a great opportunity for helping educators better prepare their students for the ACT test, so in the end, students are more prepared and ready for success in college. Enhance Your Teaching Credentials. Boost Your Students’ Success. Those interested in becoming an ACT Certified Educator can become certified in Basics, Writing, or subject-specific topics. Learn more.